San Antonio is home to five military RV parks. The city of San Antonio, Texas, is home to five major military installations. Air Force bases Brooks, Kelly, Lackland and Randolph join Army base Fort Sam Houston. At certain military installations, the government runs RV parks and campgrounds for authorized users. You'll find five military RV parks in the San Antonio area, as of 2010. The RV park at Brooks Air Force base is available only to Department of Defense employees. This location features seven RV pads with water, sewage and electric hook-ups for a $10 daily rate, as of September 2010. Eight RV/tent spaces are available with just water and electric hook-ups for $8 per day, and the park has unlimited tent sites for $3 per day with no use of facilities. The Lackland Air Force Base FAM Camp site is accessible only to Department of Defense employees. The RV park features 29 RV pads with water, sewage electricity and cable television. Guests may use a free laundry room also. As of September 2010, the rate was $12 per day. 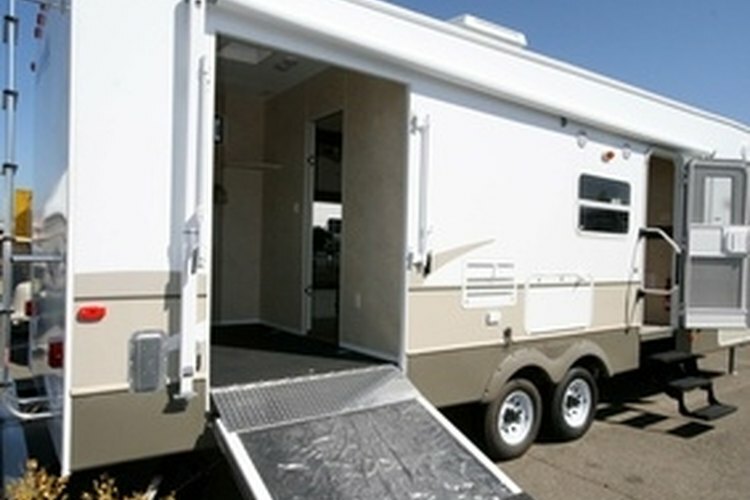 The Fort Sam Houston RV park is accessible only to Department of Defense employees. The park offers 59 pull-through RV spaces with water, sewage and electricity included. As of September 2010, rates for the RV park were $16 per day, $96 per week and $320 per month. The facility also includes 12 campsites with water. As of September 2010, camp site rates were $8 per day, $48 per week and $144 per month for these sites. This site is located approximately 40 miles north of San Antonio, but Fort Sam Houston operates it. The Canyon Lake Recreation Area features 32 full-service mobile homes and 10 cabanas with electricity. The RV portion of the park has 32 spaces with water and electric for $10 per day and 50 spaces with no services for $8 per day. Guests pay a $4 per day fee to enter the recreation area. This location also is about 40 miles north of San Antonio at Canyon Lake, but Randolph Air Force Base operates it. Randolph's Canyon Lake Recreation Area features nine full RV spaces with water, sewage and electricity for $15 per day. In addition, nine smaller spaces with only water and electric are available for $10 per day. The $3 per day park entry fee is waived for campers.